In this series, Tofugu asks learners what resources and methods they use to study Japanese, and why. Today, we talk to Koichi, founder of Tofugu, which is the company that runs this blog, WaniKani, and EtoEto. You can follow him on Twitter at @mechakoichi. Although I have two or three liters of Japanese blood flowing through my veins, and I had a decent number of Japanese speaking relatives growing up, I didn't learn Japanese as a child. That means I, perhaps like you, learned Japanese the hard way. I studied in a regular classroom, then studied abroad for a year in high school. 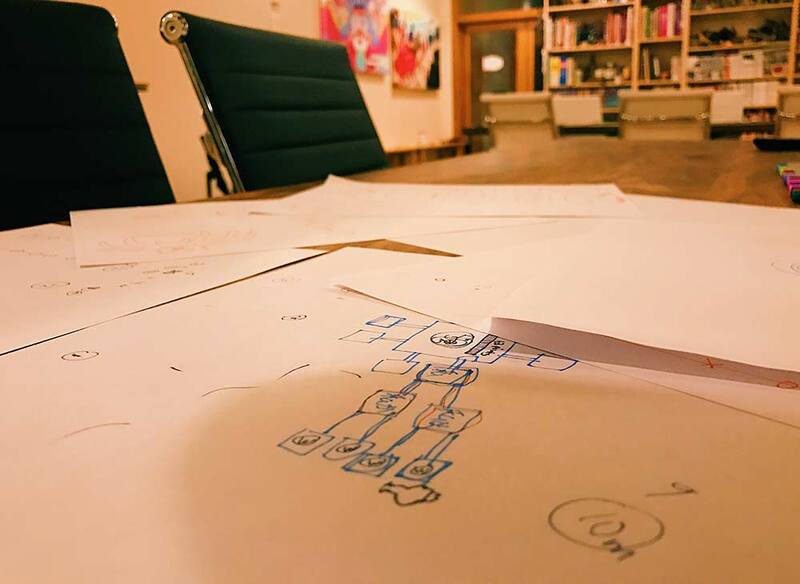 I took "business Japanese" in university, where I also started Tofugu (the blog you're reading right now) and started studying how people learn. Through a series of coincidences, mentors, and luck, I was able to turn Tofugu into a viable full-time business, create the kanji learning resource of my dreams (see below), and spend even more time thinking and studying about learning and education. Of course, I'm still studying Japanese to this day. No matter what level of fluency you get to, that study never ends. So, today I'll share what I'm using to study Japanese right now. 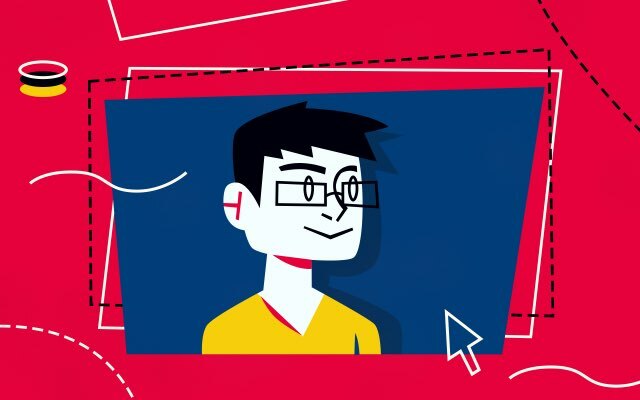 For the most part, all of these resources cater to the advanced learner. This is someone who is working on improving their fluency, or someone who is just one or two steps from getting there. Beginners should probably use something else to learn Japanese, though you may find a gem or two that will work for you too. Japanese Conversation via Facetime, Skype, Google Voice, Etc. "The habitual juxtaposition of a particular word with another word or words with a frequency greater than chance." Let's look at an example. Say we learned the word 大勢（おおぜい）, which means "crowd." Learning it by itself, in a bubble, isn't so useful when you're at a higher level. We can guess how this word is used, and guess what particles probably go with it, but why not use data to figure that out instead? To do this, I use NINJAL-LWP. I can immediately see things like the most common particle pairings (大勢で, 大勢を, and 大勢が are all very common). I can see what verbs most often go with 大勢, and so much more. 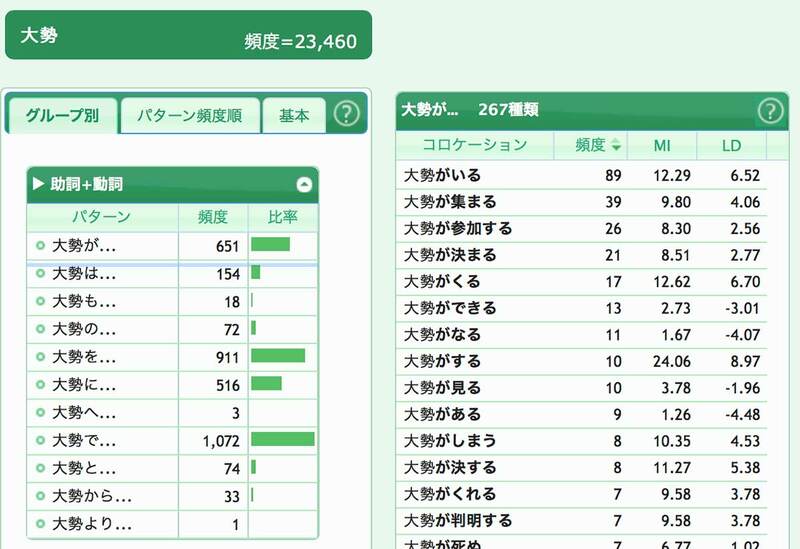 I can click into any of the fields to see more data, as well as example sentences from actual Japanese sources. You can quickly see what is commonly paired with that word, and what is not. This way you can put your energy towards the handful of things that give you 90% of the benefit. Of course, there's way more data than what I mentioned. You have to check it out for yourself to really appreciate it. Just the act of teaching something to nobody is a rewarding experience. And, you can do this no matter what your level is. One thing that really helps to clarify new information for me is if I teach it. I don't necessarily mean teaching to a classroom, or to an actual person. Just the act of teaching something to nobody is a rewarding experience. And, you can do this no matter what your level is. Teaching allows you to break a topic up into its component parts. More importantly, though, it tells you what knowledge you're missing. Let's say you learned a new Japanese grammar concept. After you finish "learning" it, it's time to explain it. As you do this, don't look at your notes. Instead, anytime you feel friction, jot something down to remind you what you had trouble with. These are gaps in your knowledge. When you're done, you can go back and fill those holes. For a more detailed explanation on this, check out the Feynman Technique. I highly recommend it whether you're learning Japanese or studying for next week's biology exam. Teaching, whether to a real person, on a blog, or to your wall, is one of the single best ways to turn learned knowledge into acquired knowledge: that's knowledge that belongs to you, and doesn't take effort to use. In one word, it's fluency. That's the goal, right? 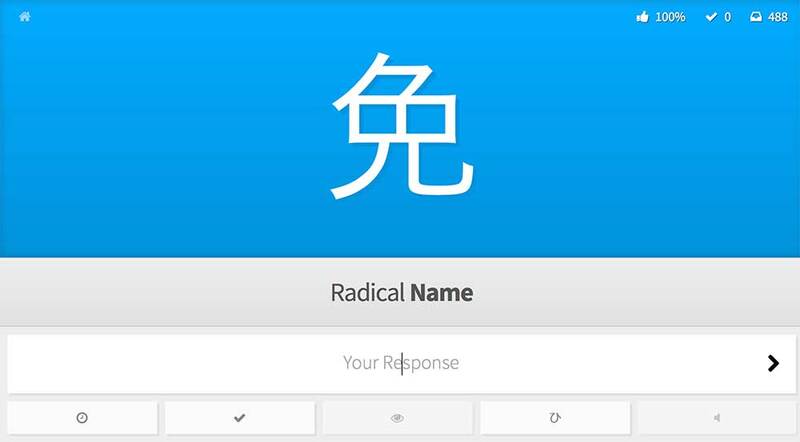 For studying kanji and vocabulary reading, there's nothing better than WaniKani. I should mention that I am biased, because I made WaniKani, but I really do think it's pretty awesome. We made WaniKani because this is the learning resource that we wanted when we were studying. It's something nobody would create for us, so we did it ourselves. I spend about thirty minutes a day (on my secret account, hur hur) studying with WaniKani. On WaniKani, it's the consistency that matters most. A little bit every day goes way further than a huge chunk of study one day, only one time a week. WaniKani helps with this kind of study management too, making it much easier to stay consistent. I don't know how someone would necessarily replicate this, but it is an important part of my Japanese learning stack, so I can't omit it. 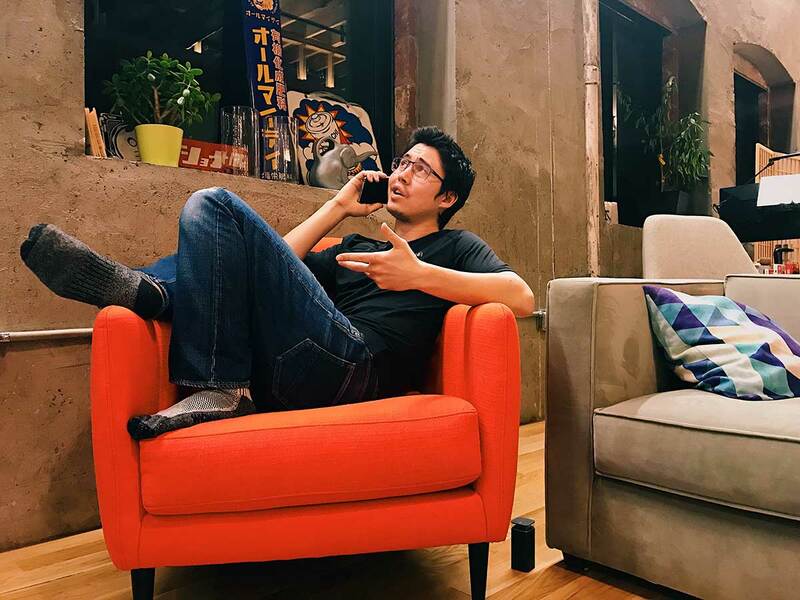 I spend an hour or more every day talking on the phone with Japanese people. When I say "phone," I actually mean Facetime, Facebook Messenger, LINE, Skype, Google Voice, and so on. It's free that way. Because of the time zone difference, this usually happens in the morning when I'm walking my dog, or in the late evening. To do this, I had to spend quite a bit of time building up relationships. I'm catching up with friends, listening to their complaints, and doing some complaining of my own. But, sometimes, when I need to give my friends a break, I'll call Japanese businesses and ask questions. Hotels are pretty good, but other places will work as well. Usually I am asking legitimate questions for research, or for an upcoming trip, so I don't feel super guilty. Plus, this is all really useful Japanese to practice, and I get to deal with service-industry Japanese, which is extra polite and a little different from normal conversation. There are some resources out there that you can use to find speaking partners, but I've never had good luck with the free ones. The conversations tend to be awkward, or the other person just doesn't show up. There are fairly cheap paid services, like iTalki, that I've had a little success with, but you do have to put in some work to find people you like. Plus, time zones are an issue. It's not so much "ugh, I have to study reading" it's "yay! I get to read about something I love, and it happens to be in Japanese so I better get cracking!" I do kendo. 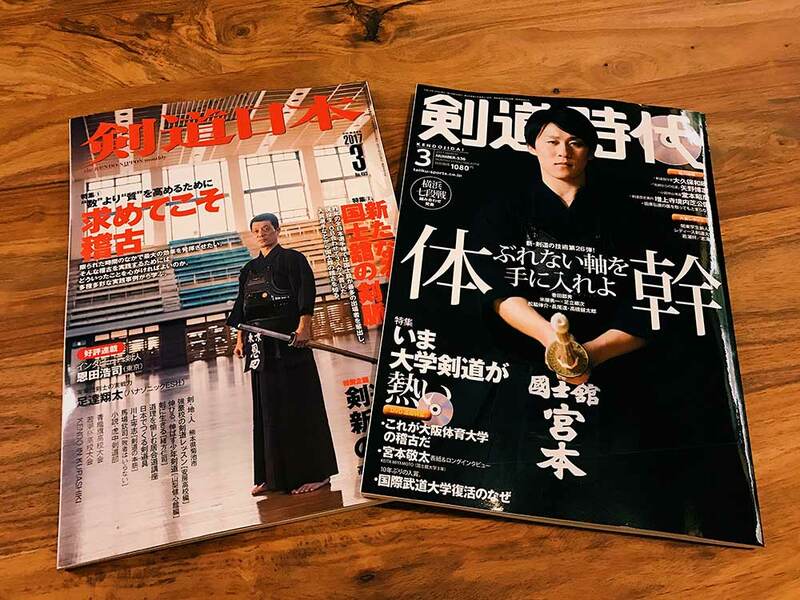 I study kendo. And this means a lot of reading. When looking for advanced reading material to further your Japanese, using a topic you're interested in is possibly the most important thing you can do (the second most important thing is sticking with one topic). I am lucky, because my topic of extreme interest happens to be a topic where all the best information is only in Japanese. If I want access to this information, I have no choice but to do it in Japanese. To make this happen I subscribe to a couple kendo magazines, which I get once a month. I'm genuinely excited to get them, and it's not so much "ugh, I have to study reading" it's "yay! I get to read about something I love, and it happens to be in Japanese so I better get cracking!" You can bet that if this information was in English, I'd just do that instead (brains are lazy like that). Luckily for me, they are not. One other thing I do is send my magazines in to a service that scans my magazines and gives me back a PDF. The digital format just makes reading easier for me to deal with, because I'm already on a computer 90% of my day anyway. Another plus is I don't have to carry around heavy magazines, and I don't have piles of fire hazards stacked all over my home. The best thing, though, is I can search for text. So, if I want to know about something in particular, it's just a cmd+f away. 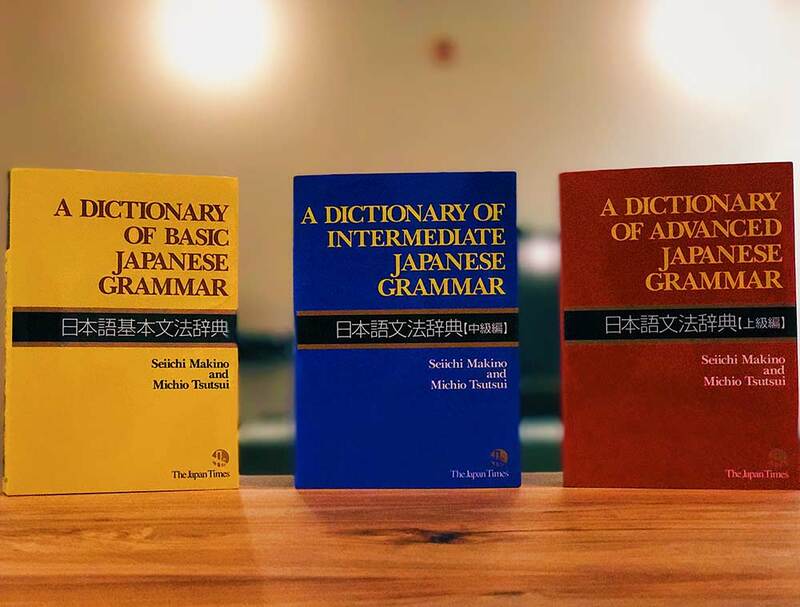 For any level of Japanese learner, these three books are a necessity. Pretty much any grammar point, and more, lives inside these books. And, the explanation is better, and more thorough, than anything you'll find online. If you're a beginner of Japanese, you need the Basic book. If you're intermediate, get the Intermediate and Basic Book. Advanced? Gotta catch 'em all. For more information, I'd recommend reading our review of the books. Spoilers: We think they're excellent. That's about it. Now you know what I use on a regular basis to study Japanese. Although you should consider your own study habits and level before copying what I do, I hope this gives you some ideas, and helps you to improve how you study too.